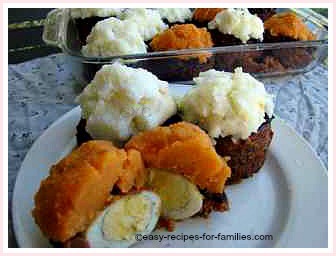 This page is a step by step tutorial for the best ground beef recipe, that makes these ground beef muffins topped with mashed potato and mashed yams. 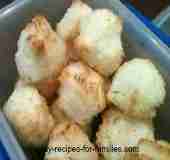 It is delicious, looks sensational and yet one of our easy recipes. 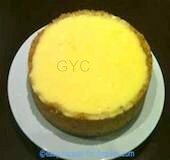 To go to the first page of this recipe which has the proportions for the recipe and full instructions, please click on the photo. 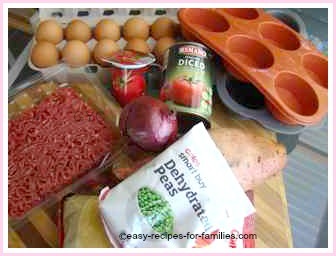 Here are the ingredients to make the ground beef muffins. Before you do anything else, turn on the oven to preheat at 440F/220C. Firstly brown the meat and onions in a nonstick pan. Otherwise be sure to add oil, about 1 tablespoon. When browned, tip in all the ingredients except the eggs and flour. 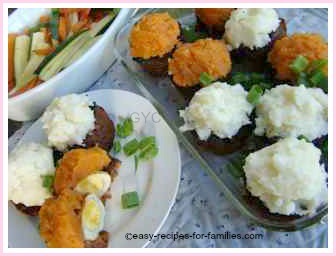 You can see in the photo, I'm cooking the hard boiled eggs as well, to go in the center of the muffin. 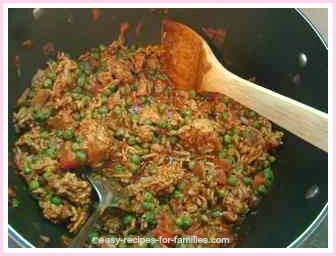 When the ground beef sauce is all cooked and the dehydrated peas look plump, stir in the flour and the 2 eggs. This is what binds the meat together in the muffin. 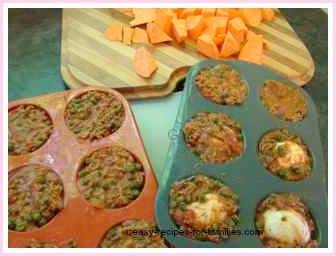 Spoon a little of the ground beef sauce so as to line the base of the muffin mold. Add in the boiled egg, if you're including these. 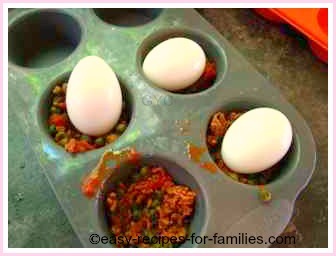 Fill the muffin holes to the top with the ground beef sauce. Bake in the oven for 35 - 40 minutes. 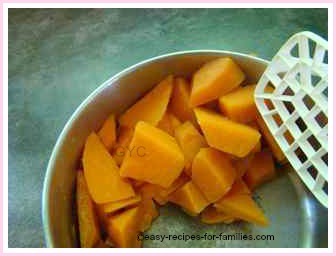 In the meantime prepare the sweet potato. 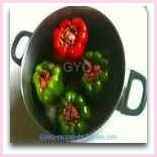 Boil in salted water till tender, then mash with a masher. Also, prepare the mashed potato to make 3 cups of mash. I use dehydrated packet mash and make it to instructions and also add a cupful of shredded tasty cheese. 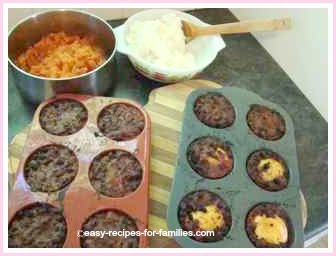 Here we go, the best ground beef muffins all golden brown and baked to perfection, with the toppings of mash potato and yams ready to apply. When the ground beef "cupcakes" are cool, decant them onto a serving platter. Now apply the mash generously as topping. They look sensational! You could garnish with finely chopped chives, but I prefer not to as I like them to look like muffins with icing. This really is the best ground beef recipe! So tasty and moreish! 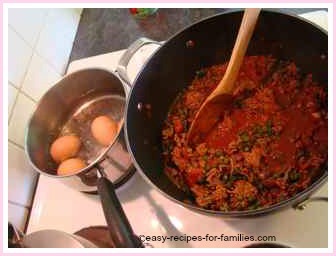 We just love an easy recipe just like this that tastes scrumptious and looks sensational. Just the best! 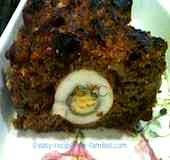 Leave Best Ground Beef Recipe to be inspired by hundreds of delicious easy recipes!